Rio Salado College | RioNews: New to Rio? Check Out New Online Student Guide! New to Rio? Check Out New Online Student Guide! You're registered for classes... now what? 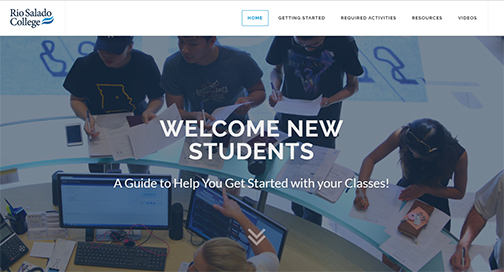 We have a new, online guide to help new students during their first semester at Rio Salado and the Maricopa Community Colleges.